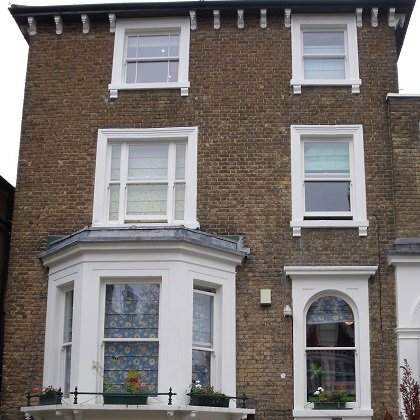 Using classic design and craftsmanship, the Traditional Window Company creates bespoke box sash windows to match the original design and retain the period character of your home. 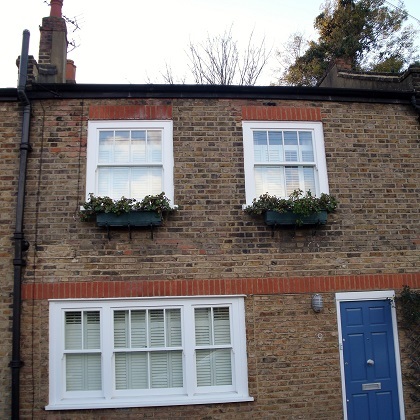 Each sash window is made to fit the original opening exactly to provide a timeless finish. 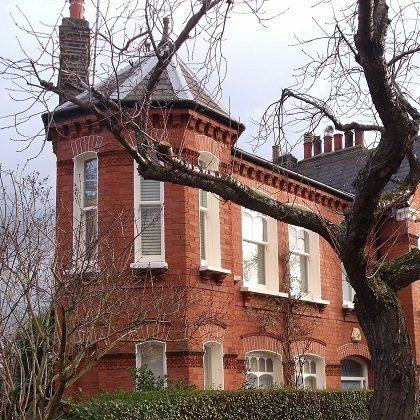 For these reasons, our joinery is commissioned by architects, discerning homeowners and those involved with Conservation areas and Listed Buildings. Please enter your details below and one of our specialist advisors will get back to you shortly. 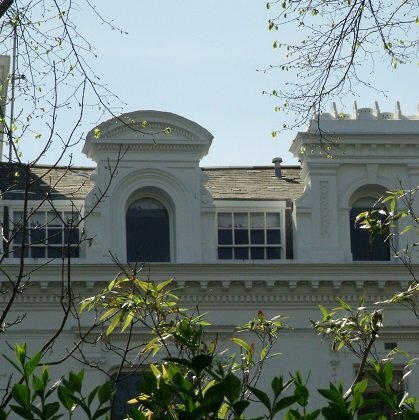 Each traditional sash window is individually made following the period detail, profiles and proportions of the original, including sash horns, cord and weight mechanisms. Our bespoke box sash windows consist of traditional joinery and design gleaned from over three centuries, combined with modern technology. All points help to maximise thermal insulation, durability and safety/security. 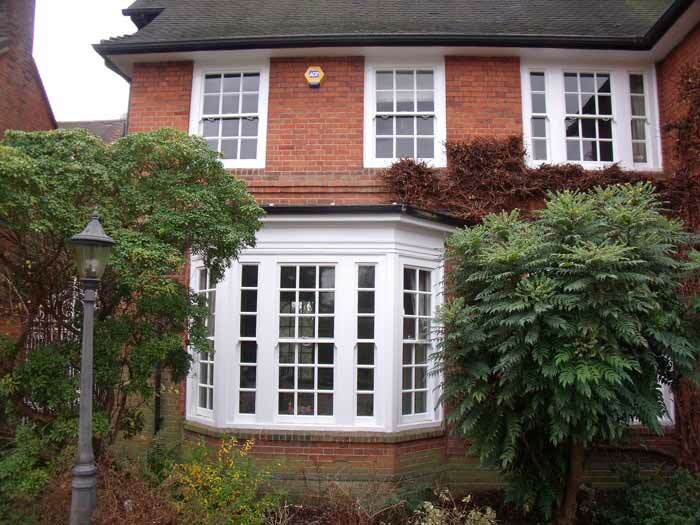 2 years ago, we had 10 new wooden sash windows made and installed. This was after initially approaching 10+ companies and meeting up with 3. 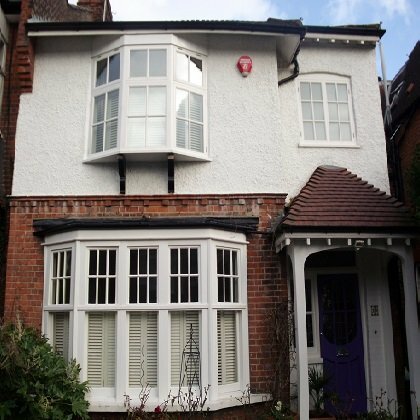 As I type this they are back at our house replacing the whole of our front elevation being 4 sash and 6 casement windows, so as you can tell we think their windows are great …. PS I am a Chartered Surveyor and would not recommend lightly. From day one TWCC were impressive providing sound advice and a detailed quotation with options. Their products and quality workmanship are second to none and their fitters are highly skilled and leave little mess behind. Keep up the good work – our house looks better and is much warmer!. Thank you for creating and installing such good quality windows to meet our ever-changing designs. We are very happy with the results and are already recommending you to friends and family. 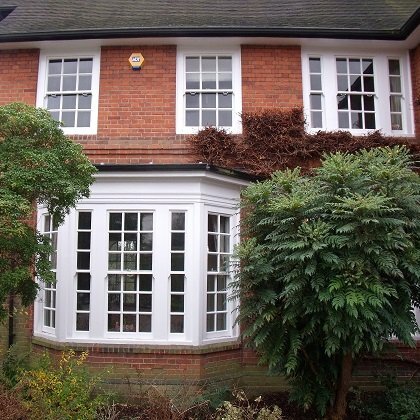 I had delayed replacing the original windows to my Edwardian house as I feared losing the fine detail and elegance, but The Traditional Window & Conservatory Company were the answer!. They replicated the exact appearance of the original windows–but what an improvement to both the heatand sound insulation!!. I am delighted! The company employees and representative were also polite,helpful and efficient. Thank you. Before installation rooms and walkways are sheeted up and the old windows are removed from site and disposed of. Our expert fitters will ensure the replacements are hand finished and trimmed off with internal stub sills, architrave and period trim to mirror the originals. The immediate walls surrounding the window are decorated where applicable to complete the finished look. Stable timbers that enhance paint coating lifespan is the key to the long life of a window because if the coating remains intact, the window will last indefinitely. Accoya® A modified timber and one of the world’s leading, long-life woods with a 50 year warranty against rot and warping. 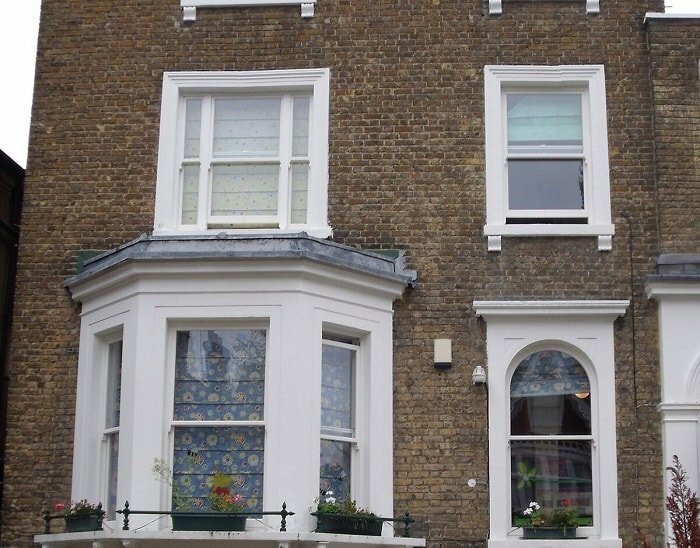 Glass & Glazing Types Glazed to ‘A’ rated specification mainly consisting of 20mm Optiwhite glazing double glazed sealed units (4-12-4). This provides a centre pane U-value of 1.2w/m2k (the lower the number, the better the thermal insulation); The use of OptiwhiteTM glass helps to provide high visual clarity and purity of colour as there is no green tinge associated with some double glazing. This glass also gives more solar heat gain since it allows more heat from the sun, which can save on energy bills during the winter months. Curved double glazed units to help replicate the original window curved profiles. 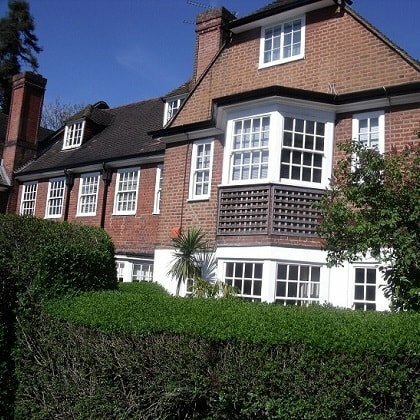 Draught/Weatherproofing To enhance the thermal insulation of the window, high specification seals, concealed within the window structure, are positioned so that they can be easily replaced if and when necessary. Finishes The latest, most advanced micro-porous treatments and finishes are used to maximise longevity and minimise future maintenance. High quality pulleys in matching material with pre-stretched sash cords and lead weights to maximise opening of sashes and ensure smooth, effortless operation. Safety & Security Security, lockablesash fasteners and 2 (No.) sash stop locks fitted to each window, including child safety/ventilation locks as standard. We are conversant with the requirements for planning and have undertaken many successful Planning applications and where required, successful appeals to The Planning Inspectorate. Where applicable for windows and doors we will arrange certification following installation.